Some professional development friends and I started an Agile for Defense Meetup last year in the Omaha NE area: meetup.com/Agile-for-Defense. This meetup has been very successful and we started the idea of Agile Happy Hours. These have been going great and I wanted to share how we have been conducting them and the success we have had. 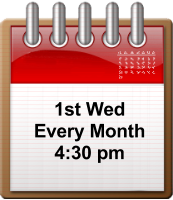 We have a happy hour the first Wednesday of every month at a local bar where we block off a room to have some privacy to conduct the meetup. It meets at 4:30pm, so you could leave work slightly early to make it and stay as long as desired, or leave early enough to get the kids. We got sponsorship from my current company TEK Systems. They pay for food and drinks for the ~hour and half of the official meetup. This environment, atmosphere and free food gets us a meetup anywhere from 20-40 professional development folks, many of which I don’t believe would come to a more formal setup so frequently. We have tried a few formats and continue to adapt to keep it interesting and effective. The first couple of happy hours we tried a very open format, open table/seating, some agile ideas written on note cards to help facilitate conversation but open to whatever people are interested in. This format got some conversations going however ultimately they were unsuccessful in accomplishing many of our desires: To have professional development conversations focused around agile and really share and brainstorm with each other. 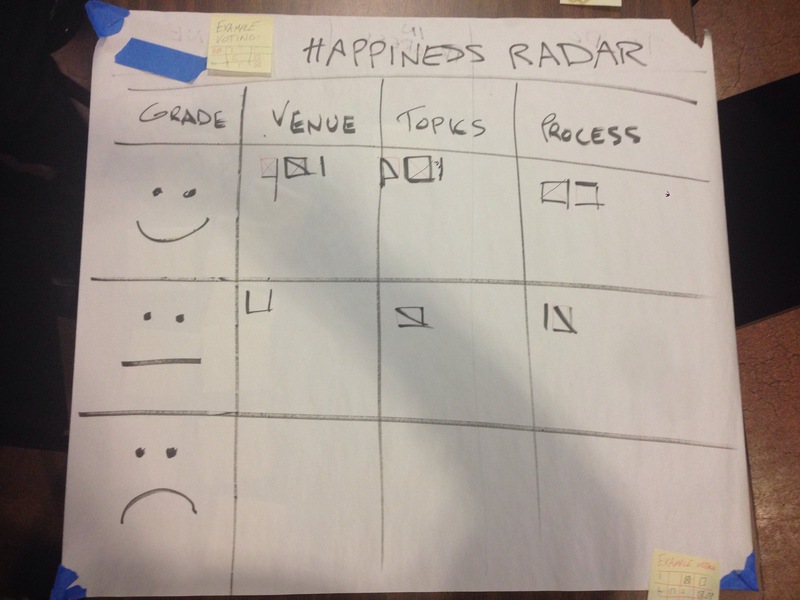 The 3rd happy hour we introduced Lean Coffee. 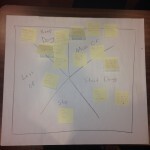 One of the organizers, Darin Plum, attended an agile Lean Coffee session while traveling and really enjoyed the format. 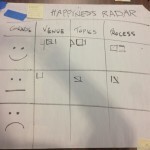 Visit leancoffee.org to get details on how it works. We would allow everyone to eat and order drinks for the first 30min and then we split everyone up into a few tables and started the format. This was a risk to the laid back environment, and was received with some jokes about staying at work if they knew they would get homework. I even had a guy write ‘beer’ on one of the sticky notes to discuss. Surprisingly it didn’t get as many votes as Test Driven Development or Scrum Masters as Developers. This format rocked. We got a ton of positive feedback. Everyone enjoyed that they could bring a topic and it actually got discussed with a handful of peoples full focus. I really enjoyed how some contributors didn’t care about a topic, but couldn’t resist debating with the other members as arguments they disagreed with overcame some of the conversation. It was really remarkable how this format accomplished everything I wanted from these happy hours. Hats off to Darin for introducing it the NIGHT BEFORE the happy hour and throwing a successful curve ball last minute. We had done the Lean Coffee format a few times, but wanted to start delivering more content along with the meaningful conversation. We came to the idea of starting the meetup with ~20 min presentations on a few topics. Each presentation would have a single page handout, front/back. We had 3 tables with 3 different topics: Extreme Programming Practices, Agile Principles and Continuous Delivery. You could only attend one table for the entire meetup. 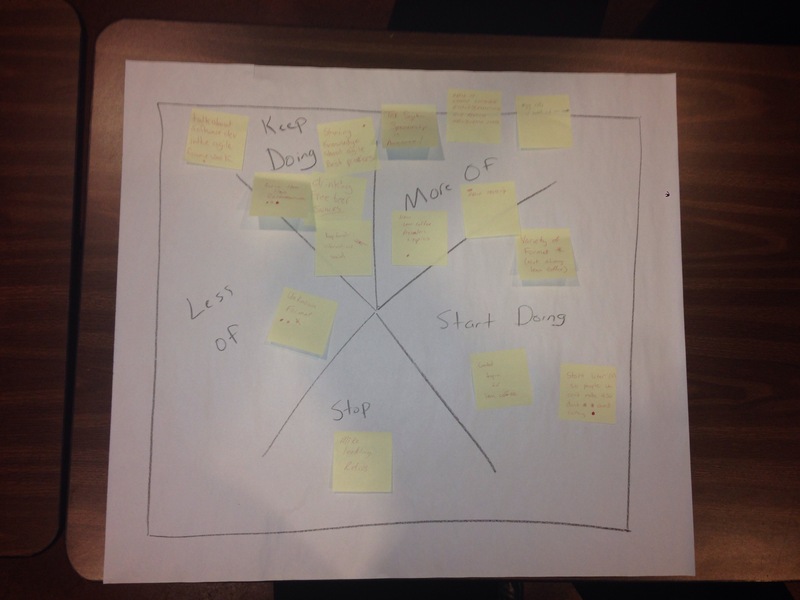 Following the ~20min of material we did a ~40min Lean Coffee followup. Any questions had during the presentation part were written on sticky notes and added to the backlog to discuss after. This allowed for members to choose a topic of interest across the board of agile concepts, learn from someone with a lot of research and experience on the subject, and have meaningful conversations with a group after (not just asking the presenter questions). This was fantastic. Anyone. We started with many of the organizers simply because just in time planning (last minute) doesn’t lend many opportunities. Since then we have had first time members present or some who attend the Omaha Agile Meetup and tailor the content to defense. We are about sharing information, the information we love the most is the information we don’t have. We had good conversations surrounding how XP Practices are fully within your agile practices, not along side them or an alternative to choose from. There was also good Q&A surrounding the productivity and benefits of pair programming, simple design and test driven development. The 40 minutes of conversation convinced some pretty smart people that these practices have incredibly high value and are also fairly simple to start doing today. Something I couldn’t have convinced them just talking at them for the entire hour. We have run 3 happy hours this way and all of them have been successful and enjoyable to everyone. We have even heard reports of members applying direct concepts to their teams, contracts or project management teams within a week of a happy hour. How we know we’re being successful though is because we introduced a 5 minute retrospective at each table after the Lean Coffee session. We have learned from these retrospectives that people want to know the topics well ahead of time, easier involvement like a facebook page, help facilitating questions toward action items we could do today instead of idealized situations and much more. All of them though have concluded they really enjoy this format. When it stops being successful though, we are prepared to hear that feedback and adapt again. What’s important is we are asking and we are learning just as much as everyone else. Present! Even if you aren’t an expert. 20 min isn’t hard to compile and the conversations will always be valuable. Reach out on the meetup site, facebook, or email me and we will get you on the next one!